It has been 10 years since we launched our auxiliary business name, Viinikassi.fi in respond to consumers’ interest towards wine knowledge. Viinikassi.fi quickly gathered the friends of wine together, and to date it has reached hundreds of thousands of Finns and has over 25,000 followers through its channels. However, the ways of communicating digitally have changed a lot in ten years. Because of digital transformation, we now have the opportunity to share wine knowledge in ways that did not even exist ten years ago. That’s why it is now time for Viinikassi.fi to change as well. Through his profession, our Managing Director, Master of Wine Tuomas Meriluoto gets to visit vineyards, meet new people, travel around the world through most exiting places and dine in some of the most interesting restaurants. 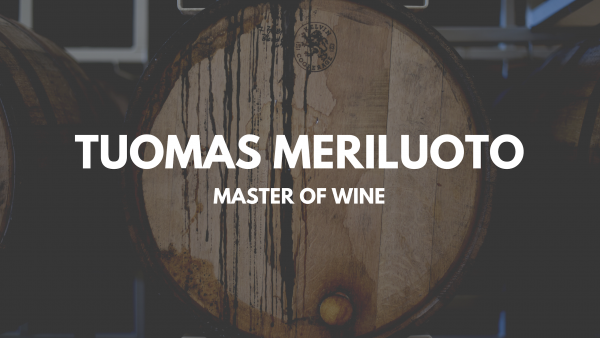 And through that experience, the purpose of the new service is for Tuomas to share his wine knowledge and help the consumers to understand wine better, as well as enjoy it more. The goal of this new project is to communicate about wine in the clearest and most understandable way. In a way that provides the most value for consumer while being truly transparent and reliable. It’s our pleasure to announce that Viinikassi.fi will go through major rebrand, and from now Viinikassi.fi is Tuomas MW. We would like to express our thanks to you all who have been with us with Viinikassi.fi and hope that you’ll enjoy the new service even more.